Chef Joseph Viola received the “Meilleur Ouvrier de France” (Chef of the Year) award in 2004. He runs three bouchons in Lyon named Daniel & Denise: Each of them has been awarded a Bib Gourmand by the Michelin Guide. Whichever restaurant you go to, be it Daniel & Denise Créqui, Daniel & Denise Saint-Jean in the Vieux-Lyon, Daniel & Denise Croix-Rousse, or Daniel & Denise gourmet store in Villeurbanne, Chef Viola’s goal is one and the same: He wants to promote the flavours of traditional French dishes, showcasing their subtlety with elegance and generosity in a friendly atmosphere. His duck foie gras and calf sweetbread “pâté en croûte” (which won the “Best Meat Pie in the World” award in 2009), pike quenelle with Nantua sauce, crayfish omelette, calf’s head cooked in court-bouillon and served with herb sauce, Bresse chicken and morel mushrooms in a creamy sauce, tarte Tatin with almond pralines from Saint-Genix, are just a few examples of the vibrant, hearty cuisine Chef Viola offers. Products are king and cooked for optimal taste. *Pleasurable cuisine highlighting high-quality products in traditional bistrot French dishes. Joseph Viola learned his trade with Michelin-starred chefs and extremely high standards were the norm. In 2004, he was awarded the prestigious “Meilleur Ouvrier de France” (Chef of the Year) title, a true recognition from his peers. That same year, with his wife Françoiseʼs unconditional support, he decided to go out on his own and bought out the restaurant “Daniel et Denise” on rue de Créqui. This Lyonnais bouchon used to be run by Daniel Léron, another “Meilleur Ouvrier de France” (Chef of the Year in 1976) awarded chef. Such a choice was rather unconventional back then and made Viola one of the ambassadors of this warm, lively cuisine. With Joseph in the kitchen and Françoise waiting on the guests, the duo offers a mix of tradition and elegance as well as generosity and simplicity. In 2012, they opened a second bouchon called “Daniel & Denise Saint-Jean” in the heart of Lyon’s historical district. Their third restaurant was established in the Croix-Rousse district in 2015. It has been entirely renovated to welcome clients in the most comfortable setting. The duo didn’t stop there. 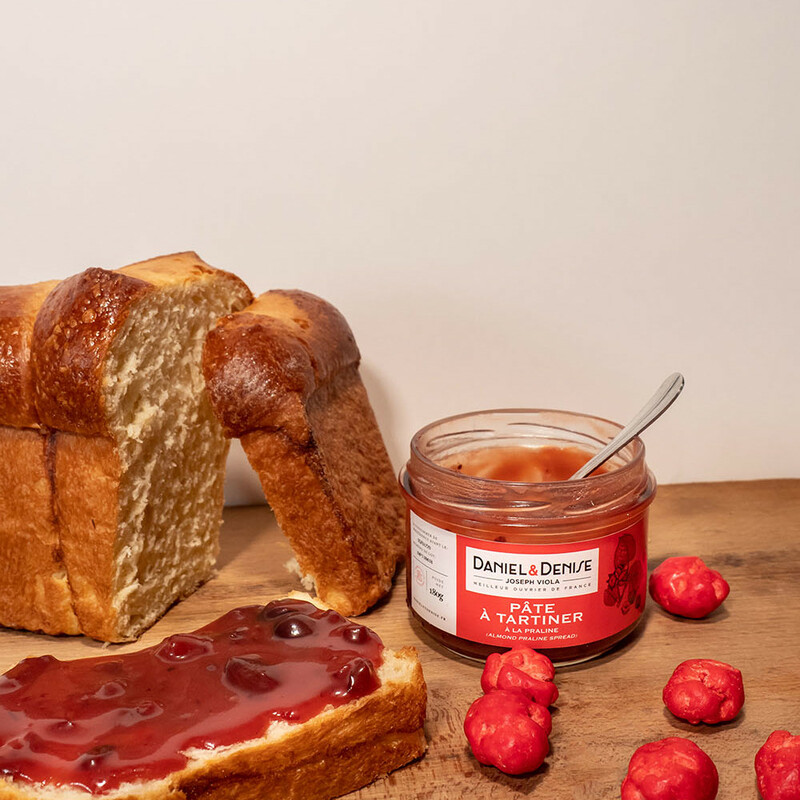 They launched “L’Epicerie Daniel & Denise,” their gourmet store, in 2017 in Villeurbanne, just outside of Lyon. The atmosphere is atypical, adapted to modern life: The chef’s signature dishes are offered to go. Daniel & Denise at home…. Find all our Daniel & Denise products for sale in our new online store. Home delivery or pickup within 48 hours at "L'Épicerie Daniel & Denise".